ABS-CBN’s It’s Showtime continues to dominate the afternoon timeslot with the help of its major segments TrabaHula and Tawag ng Tanghalan as they stay powerful over Eat Bulaga. In the latest Kantar Media National TV Ratings dated January 19, It’s Showtime outshines Eat Bulaga with 2.6% advantage, 16.6% versus 14%. Yesterday in It’s Showtime, the showdown between Tawag ng Tanghalan defending champion Jessa Montefalcon and Rachel Gabreza became a hot topic in the social media because of their powerful voices. In the end, Rachel snatched the title from Jessa making her the defending champion. Will Rachel continue to secure her title in order to be the next semi-finalist like Dominador Aviola of Davao? It’s Showtime airs weekdays 12:15pm and Saturday at 11:30am. 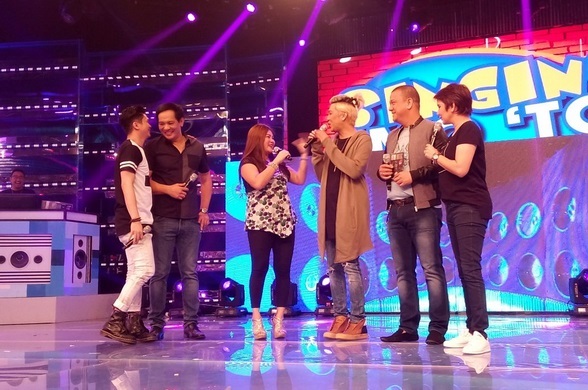 Hosted by Vice Ganda, Anne Curtis, Mariel Rodriguez, Amy Austria, Vhong Navarro, Jhong Hilario, Karylle and Billy Crawford.